Compatible amps include tube reverb from 1963-1990 such as the Princeton Reverb, Vibrolux Reverb, Deluxe Reverb, Super Reverb, Pro Reverb, Twin Reverb, Quad Reverb, Super Six Reverb, Vibrosonic Reverb. This also includes all reissue equivalents. Als includes Fender™ ’63 Reissue Reverb Unit, Fender™ Concert II, Mesa Boogie™ MK2C plus other models, LAB™ Series L5, L7, L9, Koch™ Powertone I, Ampeg™VT-40 and Super Rocket SR212, B-52™ AT-100. 2 answers Will this sound good in my Twin? The construction of these MOD tanks is designed to sound as close as possible to vintage reverb tanks of the 60's.This tank would serve as a great upgrade to the stock unit in a Fender Twin. 1 answers Hi, I have a Fender 1968 deluxe reverb,AB763,and I am looking for a nice lush reverb. Would this be the one to use? The MOD series tanks are designed to sound much closer to vintage sounding reverb tanks than other brands and their construction lends itself well to this goal. This will definitely be a great upgrade or replacement and should provide a nice lush reverb for your deluxe. 1 answers Which long tanks would work in my Crate V18 and V50? I would suggest an internet search and perhaps someone else has upgraded their Crate tank to a MOD. Beyond that we would need the numbers from the existing tank and perhaps we could find a solid replacement. 1 answers Does this reverb tank fit in a Fender Prosonic? From what we could find from a brief internet research it appears as though this is the correct reverb tank for your unit. We always suggest further independent research to back up our findings as we are not techs. 1 answers I need to buy some tanks for the JCM900 and the JCM2000. Which models of the MOD tanks do I need? It appears from doing a quick internet search, the JCM 900 uses a 8DB2C1B, and the JCM 2000 uses a 4BB3C1D. You might want to confirm these numbers by looking at your reverb tanks. Most tanks will have an 8 character number on them. 1 answers Would it sound any better than the factory tank on a Fender Blues Deluxe reissue? Most MOD owners feel that these reverb tanks are the most accurate to the original tanks found in vintage Fender amps. In most cases this would be considered an upgrade. Hi, from our limited research it appears that you need an 8EB2C1B for your Valveking. I would confirm this by looking at the number on your tank. 1 answers Will this work with no alterations in the current Fender '65 Princeton Reverb amps? Yes, this will work in your '65 Princeton Reverb. 1 answers What other tank options are there for a '63 reissue fender reverb unit? As long as the second and third character match (AB) you can play around with the other options. The first character will describe the tank size and number of springs. The fourth character represents your decay time and comes in three different types (short, medium, and long). For more information please see our reverb tank article in the tech corner above. 1 answers I am looking for a replacement reverb tank for a 1993 Fender Super Amp (op-amp reverb driver). Is the 4AB3C1B an appropriate replacement? Thank you. From our limited research it appears that the 4AB3C1B was the original tank in your amp. As long as the second and third characters (AB) in 4AB3C1B match with the tank in your amp, you can play around with the other numbers. For example, if you wanted a long tank with 3 springs instead of two, you would want a 9AB3C1B. 1 answers Would this tank work in a Sunn SX6350 PA mixer? Thanks! We simply do not have the resources or reference materials to determine what type of reverb tank your Sunn needs. If you have the original tank, you will want to see if there is an alpha number code on it. If you can get that information to us we might be a able to help you out. 1 answers Is this an improvement over the stock PRRI reverb tank? 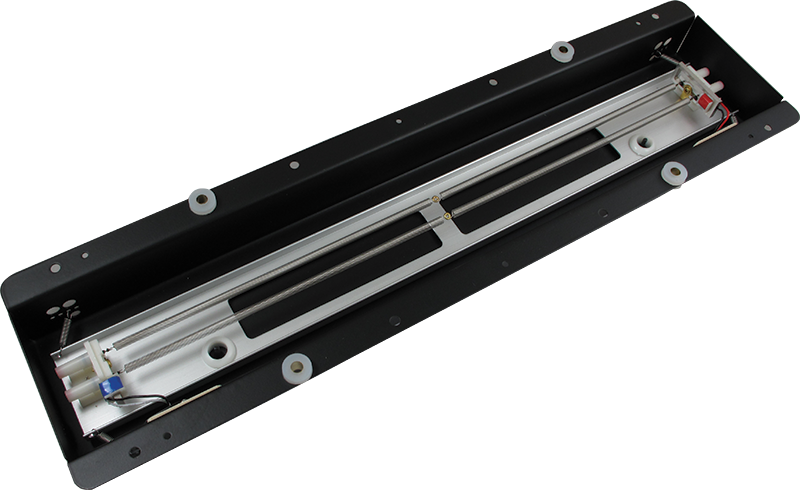 Yes, we believe that the MOD series of reverb tanks are an improvement. These tanks are made as close as possible to the original USA made Accutronics tanks. 1 answers Would this work in my Hot Rod Deluxe? The 4EB3C1B is the proper replacement for your Hot Rod Deluxe. 1 answers Would this tank be correct for a Fender Supersonic 22? Although we have not been able to verify this information, our customers have reported that this is the correct tank for the Supersonic 22. 1 answers My input dc resistance is 2 ohms, not 8 ohms. Is my tank bad? Maybe shorted out? How can I tell? Unfortunately, we are not techs and can not properly diagnose the problems you're having with the amp. We recommend taking it to a qualified repairman. 1 answers Which tank for my Ampeg 90's 2-12 reverberocket? The 9FB2A1C should work but you will need to confirm this by looking at your existing tank to insure compatibility. 1 answers Will this work in a Mesa Boogie Recto-Verb 50 combo ? Unfortunately we do not have reference materials to determine what tank goes in your amp. 1 answers Will this tank work in a Fender Frontman 65R? We are not sure if this is the correct replacement tank for your amp. 1 answers Which tank will work in a Fender Frontman 65R? 1 answers Benim fronman 25 teki tankı çıkarım 4EB3C1B Tktım fakat reverb baya zayıf. devrede değişiklik yapmam gerekiyor çünkü alıcı kısım zayıf. neler önerirsiniz sevgiler. Yes, this is built with the longest decay time for reverb tanks. 1 answers I have an old Fender Princeton Reverb II from the 80s with a short reverb tank and would like to change to a long tank. 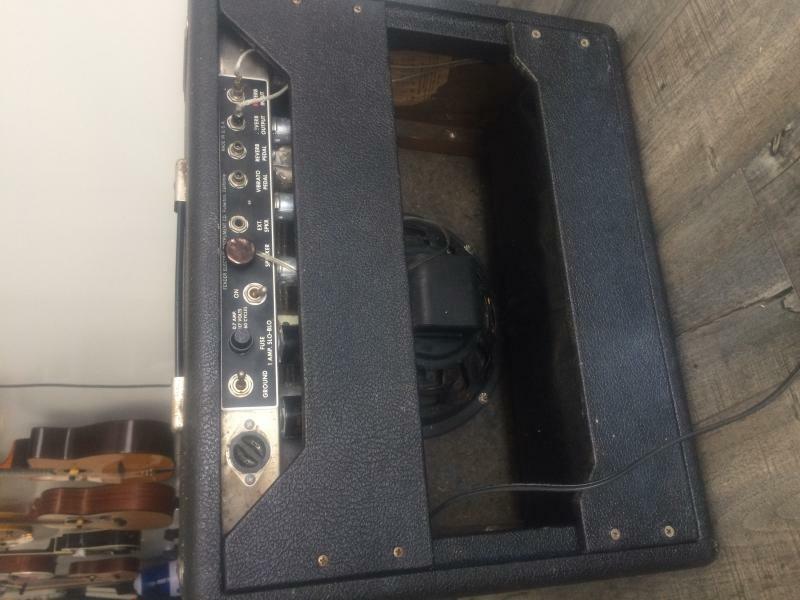 Which tank will work for this amp? We do not advise changing the size of the tank, simply because there are no 9.25" and 16.75" tanks that share the same input and output impedances. Replaced the stock reverb tank(accutronics) in my 2000 "the Twin" as I felt it sounded worn out. The Mod reverb tank sounds great & has given my amp new life. This tank is a direct replacement for the "Accutronics & Belton 64063" tank in my Fender Super Sonic 22 combo. The stock tank was acting up. This MOD tank sounds much better than the stock tank. It gets pretty surfy wet if you dial it up. Great Reverb tank. I bought it to replace the unit in my new Fender Super Sonic. The Mod I received was exactly what was in my Fender SS. No difference at all. Check your amp before you decide to replace the tank. I thought I was buying an upgrade but it turns out I didn't need it. Replaced bad tank in Fender Super Sonic. Now she's right for the first time. Sounds great. Better than factory tank. Now she sings,cries. Price was great. Delivery time was great. Thanks AP. I have my amp back.I give you 5 stars ! Bought this to replace a broken accutronics reverb tank that originally came with a recently aquired used Fender Deluxe Reverb Reissue. I have to say that I am extremely satisfied. It has a nice full decay and leans towards the bright side of the spectrum. The decay is nice and smooth without any "echo" type effect. Only time will tell how long it will last but for the price, It's as good as it gets. I would recommend this tank to anyone looking for a bright, smooth, and long decay in their reverb. Direct replacement for the tank in my late 70's Ampeg VT-40 combo. Great value. these replacements are better made and offer a better sound overall than the original Accutronics and cheaper! Replaced the verb in a 80's Peavey Backstage. This reverb is far superior to the stock one. Nice size...fit perfectly. Very smooth sounding. Great price, got it fast, My Fender Deluxe has reverb again. It fit right in the bag, plugged in the same way, done deal. Thanks Amplified Parts.